For my senior project, I spent a lot of time studying images from the Apollo missions which NASA recently released to the public. 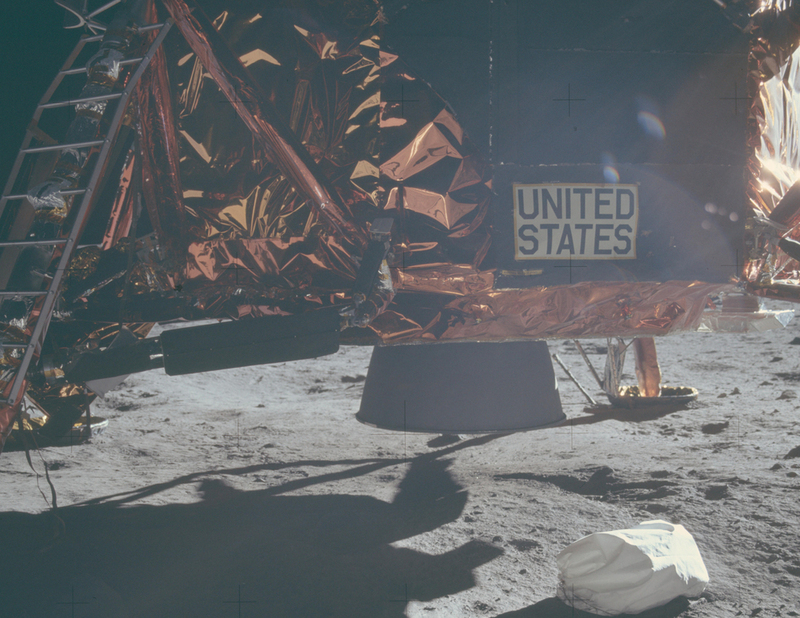 These Hasselblad shots often featured the Apollo 11 itself as subject which was beautifully adorned with gold heat shielding and harsh geometric letterforms. Something about these slightly awkward forms spoke to me, so I created a rudimentary typeface based on them.